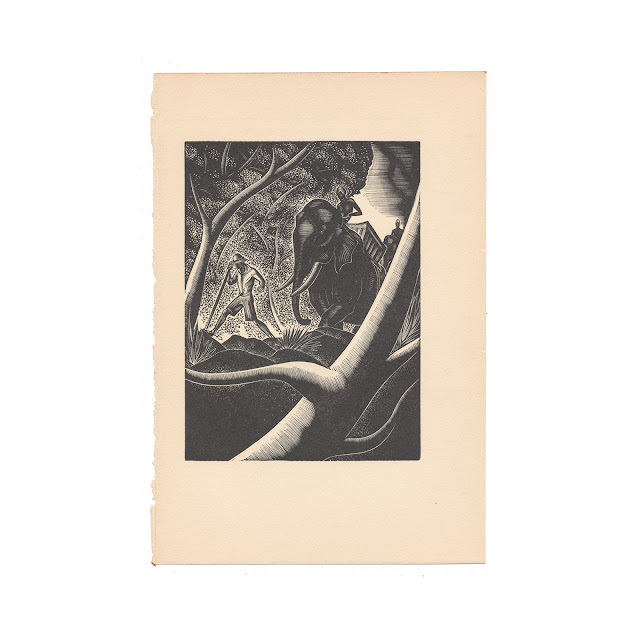 Woodcut illustration by artist and author Lynd Ward. 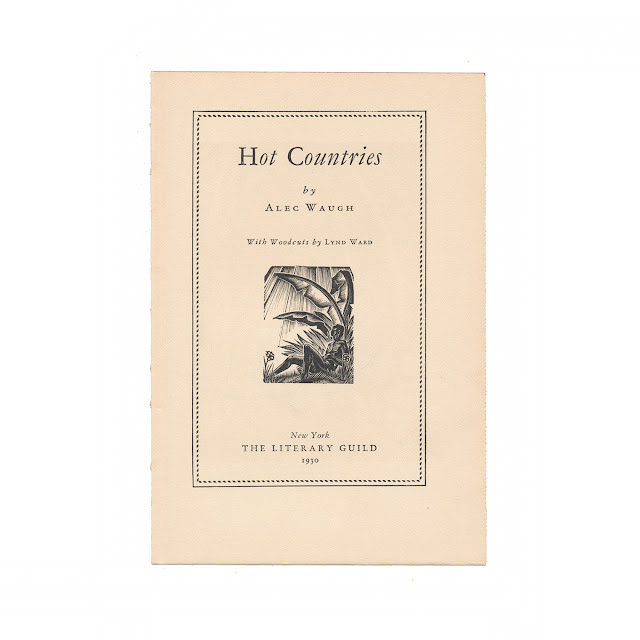 The 5.5" x 8" vintage print was recovered from Alec Waugh's 1930 book "Hot Countries" - reminiscence of travels through Tahiti, Martinique, Indonesia, and other locales of the South Seas. This illustration shows a touch of browning, but image is clear and bright. Rough edge where it was bound into the book. Title page from the original book shown for informational purposes and is not included with the sale.